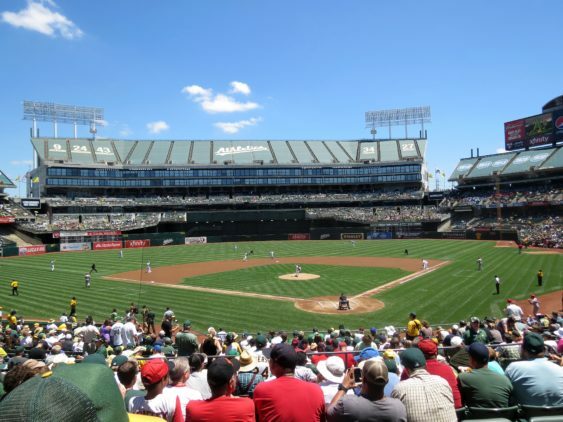 Make an impact in the community during every Wednesday A’s home game with Community Impact Wednesdays in section 322. Pick your price and all tickets proceeds benefit the Oakland A’s charitable arm, which takes an innovative and dynamic approach to support education, promote youth sports, and provide economic opportunity in order to help make Oakland and the East Bay a more equitable and inclusive community. Tickets start at $1 but you can donate more if you’re able to. 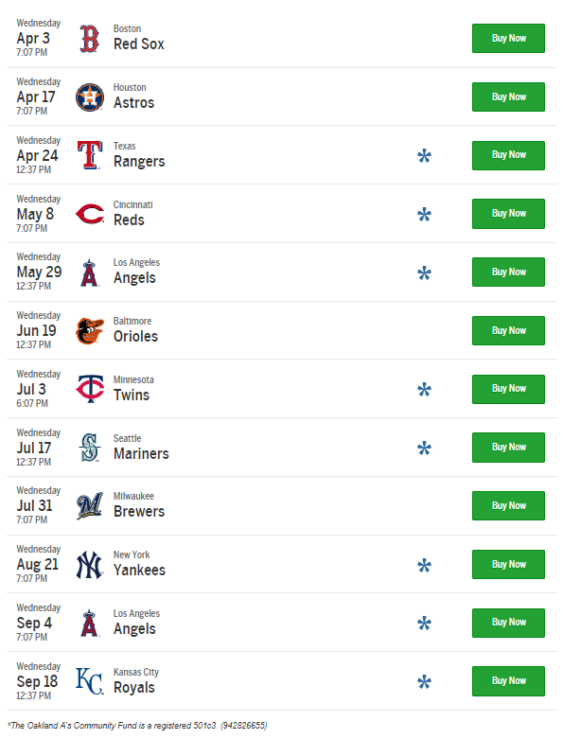 And tickets are against some great teams including the Red Sox, Houston Astros, and New York Yankees. Tickets are for personal use only and cannot be resold; you will be notified and tickets revoked if this policy is not followed.